If you’re an entrepreneur that is experiencing growth in your business, congratulations! You are reaching for the American dream. American enterprise has been molded by brave souls like you. Today, you are playing the very important role of helping drive our nation’s economic recovery. Expansion is the sign of a healthy business. Hiring, increasing revenue, and building your reputation are all exciting developments that come with growth; but they can also present new challenges. The best news is that many have walked in your footsteps before and most business growth challenges aren’t unique or new. This year Strive to Thrive Business Expo and Workshop is addressing some of these challenges. In addition to our phenomenal keynote speaker there will be 5 breakout sessions where our extraordinary speakers will share their expertise to assist you in easing the pain of growing your business. This is a multi-chamber event with the Lake Oswego, Tigard, Tualatin & Wilsonville Chambers. 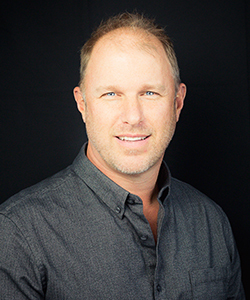 Scott is a business owner and senior executive with extensive CEO, General Management, and Business Development experience in the high-tech industry. He has a strong record of successfully launching and managing global high growth businesses in both the consumer and commercial markets. He is currently a co-founder, CEO, and Board Member of Avocor (Commercial Display), Board Member of Agile Displays (Commercial Display), co-founder and Managing Partner of TargetPath (Management Consultancy), Board Member of FIIL Audio and Lumaglo (Consumer Electronics). Scott has over twenty-five years of successive P&L leadership at Avocor, Sol Republic, Chilin Technology, Agile Display, TargetPath, Planar Systems and InFocus, driving high growth organically and through M&A while increasing profit through effective expense management and operational controls. He has broad experience in marketing product portfolios to consumers, education, government, small business and large corporate accounts through mass merchandising (distribution, retail, e-tail, direct) as well as value-add (Resellers, System Integrators, OEM) and direct channels. He has over twenty years of global experience leading organizations in North & Latin America, Europe, Middle East and Asia. He is a decisive leader with a passion for leading high-performance teams, establishing strong customer loyalty and expanding market share while reducing operating cost. What does The Godfather teach us about managing business growing pains? James will explore the five most common legal issues he sees when working with growing businesses and offer a humorous Godfather-inspired look into how to mitigate them. Topics include common employment issues, contracts, business entities, and more. 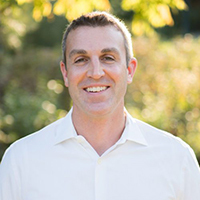 James Fishback had extensive business experience prior to beginning his legal career, which helps him to develop practical solutions to real world business problems. By blending his experience as a university-level educator with his background in business, technology, marketing, privacy, security, and law, he works to achieve his clients’ organizational goals through clear communication, precise development of objectives, seasoned leadership, and tenacious follow-through. Before joining the legal field, he worked in large-scale web application development, cloud-based architecture, Agile software development, team management, and product road map development and budgeting; he worked with marketing and development teams based in the US, Asia, and Europe; and he developed successful business initiatives for organizations ranging from tiny startups to large international conglomerates. Culture is a term thrown around a lot in business, yet very few companies take the time to develop and cultivate their company culture. During our time together I will help you come up with a plan to start creating and maintaining a healthy organization with a strong culture to help you see an increase in profit, production, and company morale. Nathan Cook is an Executive Leadership Coach, International Speaker & Trainer. He has traveled the world speaking to educators, military, business owners and religious influencers to increase leadership in our world. Your company and brand are your baby. Ensuring it has a long, happy and prosperous life requires a solid base to grow from. Stephanie will talk through key considerations to help your brand grow whether you’re hiring your first employee or your twenty-first. Takeaways include the understanding the importance of brand voice, where your brand fits in the competitive landscape, and cost-effective ideas to grow your brand. You’ll come away with tangible actions to build on right away. 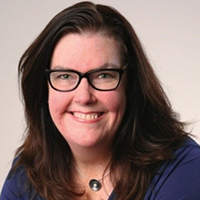 With over twenty-five years of marketing experience, Stephanie Murphy has held roles leading in-house marketing teams as well as on the agency side as an owner. A self-described “walking ad agency” she has advised clients on everything from high-level brand strategy to managing the tiniest details and everything in between. 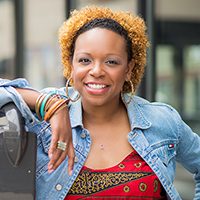 Her experiences are in a wide variety of industries including professional services marketing, consumer goods, tourism, software and non-profits. A transplant from Boston, Stephanie has the honor of working on some of Oregon’s most iconic brands including Moonstruck Chocolate, Gerber Legendary Blades and Danner Boots. When she’s not working, Stephanie is an active volunteer and golf coach with The First Tee of Greater Portland and The Children’s Course in Gladstone, OR. Financial workflows are often overlooked as a business grows. Be proactive, with web-based applications, internal control processes, and technology tools. Gain immediate takeaways that can assist your business in keeping an extra eye on cash flow management. Lozelle is a graduate of Long Island University, Hunter College, and Berkeley College. She holds an MBA in International Business, a Bachelor of Science in Accounting, and an Associate Degree in Accounting/Business Management. Also, she has a certification in Human Resource Management and one as a Financial Educator Instructor. She also enjoys teaching others and is a Business Adjunct Professor. Through Closing Your Books and Body of Accounting, Lozelle has been able to educate women and the health and wellness industry on the fundamentals of accounting as it relates to their business, including their accounting software. This education consists of managing, maintaining, and understanding the financial side of the business before handing off these responsibilities to someone else. She believes “the learning is in the doing”, which is why each of her clients rolls up their sleeves, work in their accounting software, learn how to categorize their financial transactions, prepare a projected budget and analyze their actuals vs. budget profit and loss accounts. Ryan provides part-time CFO Services to small and medium sized businesses. This is done both in person and remote (Virtual) depending on the particular needs of the business. A growing company will reach a point where it needs a higher level of accounting expertise. However, oftentimes it doesn’t make sense to hire an expensive Full-Time Controller or CFO. This is where Ryan comes in. He helps business owners, presidents and CEOs with regular, part-time assistance in the areas of cash forecasting, budgeting, strategic business planning, accounting expertise, tax advisory, financing and investor funding. In addition, he can also assist the owner with ownership structure and ownership transition planning. 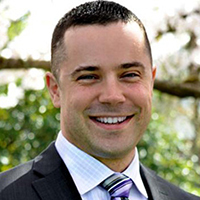 Ryan is a Certified Public Accountant (Oregon) and a Chartered Global Management Accountant (CGMA). He has 20+ years of experience in the accounting world with a wide variety of part-time CFO roles, several in house CFO positions and public accounting experience in the areas of tax and audit. Your schedule is your lifeline. When you are on-schedule, you have a good rhythm that will keep you going based off the power of momentum. But If you get off track, it can slow you down, negatively influence your attitude and cause your self-esteem to become a roller coaster which creates stress and frustration along with influencing how you work with others. Ultra-performers and business leaders follow a few simple but profound principles in how they construct and execute their daily and weekly schedules along with how they communicate with coworkers and employees. Here you will learn their secret habits and be empowered to execute them in your own life along with your teams. 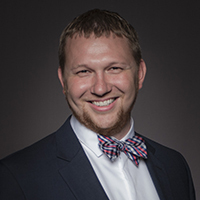 Will Metscher is a Certified Professional Sales and Leadership Coach. He specializes in teaching ethical sales techniques and strategies that individuals and teams can use to immediately grow their sales. 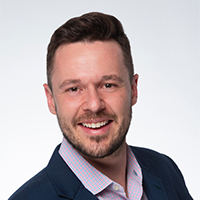 Will is a Professional Sales Coach at Southwestern Consulting and has over 9 years of experience in sales, sales management, recruiting and leadership. He is ranked #3 out of over 500 US Salespeople at Southwestern Advantage and ranked #4 and #6 in consecutive years in his personal sales team at Southwestern Advantage. Will’s mission is to help others become the best versions of themselves through overcoming their fears and diving head first into their goals. His passion is to develop leaders through coaching and compassion. An experienced salesperson, manager, and trailblazer. Do you support your clients as their business grows? If so, don’t miss this invaluable opportunity to make connections and increase your business’ exposure. For more information, please see vendor application. Note: Applications will be processed and tables assigned on a first-come-first serve basis per category. Categories are not exclusive, however they are limited to ensure a diverse representation of companies.